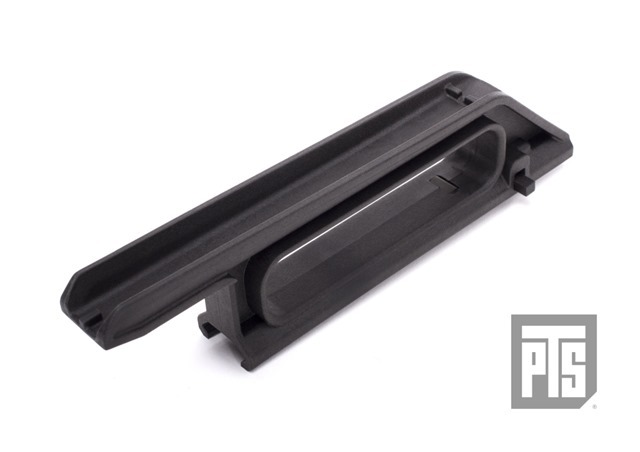 The PTS Polymer Carry Handle – Compact (PCH-C) is a great attachment to any small compact gun, especially with guns like the PTS FPG and the PTS PDR-C/D. The handle not only provides great portability for the gun, it also has built-in sights for quicker target acquisition. The overextended top on the PCH-C adds distance between the front and rear sights for better aiming accuracy. 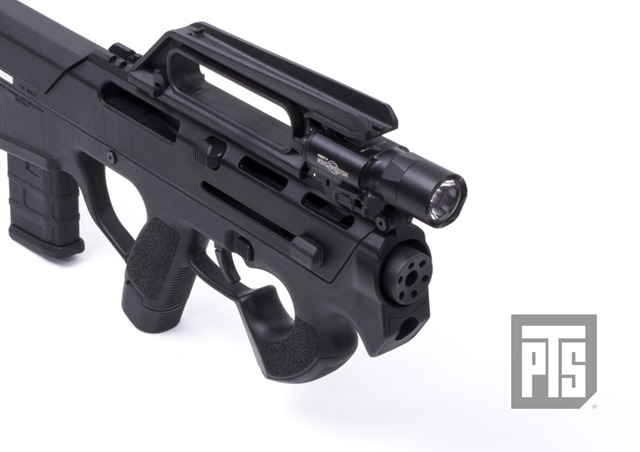 In addition, the front overextension allows other attachments, such as a weaponlight, to complement the handle. The product is made out of very lightweight high strength polymer thus justifying its great portability. It can be easily installed and detached by simply lifting the two hooks and sliding it off or onto the receiver rail.